Servicing your biomass boiler can save money on fuel compared to a boiler that is poorly maintained or not serviced at all. Servicing is also an easy way to comply with the RHI requirements having an engineer checking if the system is working correctly. 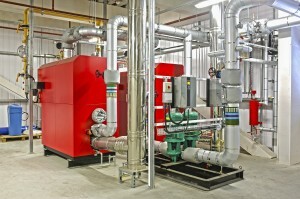 Biomass maintance each year is very important to ensure your boiler is running efficiently. The boiler will require a strip down service at least once a year, depending on the manufacture’s recommendation. Due to the very fine ash created in the burning process it is very important that your boiler is serviced to ensure the heat exchanges work at their best. Maintenance will often pick up on potential issues early on, before the problem becomes serious, so protecting your investment and is an easy way to comply with the RHI requirements to ensure the maintenance of all equipment is up to date. We offer a variety of levels of servicing, from the most basic yearly visit for sites where there are trained personnel on site, all the way to regular checks including emptying ash service where there are no on-site staff capable of carrying out the regular checks that should be done. Gold Service: We recommend this type of Biomass Maintenance plan for systems without back-up heating and no service engineers on site to attend minor problems with priority service should anything breakdown. Silver Service: When you want the piece of mind that you have the necessary back-up if you need it. Only a couple of visits are required each year for this level of service. Bronze Service: This is designed for sites that only need a yearly visit for the Biomass Servicing, with the capability of on-site Maintenance engineers to attend any breakdowns. Domestic Service: Call us to discuss the cost for servicing your biomass boiler. We will need to know the size and brand of the boiler and then we can provide you with a cost to cover your servicing needs.